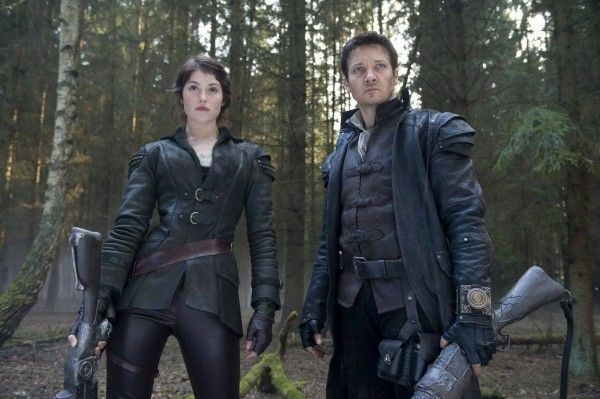 Originally scheduled for release in March of this year, Paramount made the decision back in January to push the fantasy actioner Hansel & Gretel: Witch Hunters all the way to January of 2013. We heard relatively little about the film in the meantime, but yesterday reports from IMDb users popped up suggesting that the studio was testing both R-rated and PG-13 versions of the film. Reactions to both versions differed, with most users preferring the supposed R-rated cut to the PG-13 iteration. It appears that the IMDb users were mistaken, as trusted sources now tell us that both versions of the film used in test screenings were the R-rated versions, and Paramount absolutely plans on releasing Hansel & Gretel: Witch Hunters as R. Hit the jump for more. Despite IMDb speculation that the studio was testing a PG-13 version of the pic, we’re hearing that Paramount is 100% planning on releasing Hansel & Gretel: Witch Hunters as an R-rated film. The discrepancies between the cuts may have been a result of the studio trying to see if audiences prefer a more graphic version of the fairy tale over a tame cut. Whatever the case, it was clear that audiences (or at least those that took the time to post on the IMDb message boards) were heavily in favor of the “more R-rated” cut of the film. For those unaware, the 3D film stars Jeremy Renner and Gemma Arterton as the grown-up versions of the titular characters who are, understandably, out for some revenge. The test screening responses were quite positive, with many noting the film’s violence, humor, and fun action; one user compared the “silly” tone favorably to Scott Pilgrim vs. The World and Drive Angry 3D. Way back in December of 2011, Arterton said the pic was “as much Pulp Fiction as fairy tale,” and the IMDb responses confirm a pretty twisted sense of humor. Hopefully we see a trailer soon so we’ll be able to get a sense of the tone for ourselves. Hansel & Gretel: Witch Hunters also stars Famke Janssen and Peter Stormare and opens in 3D on January 11th, 2013.